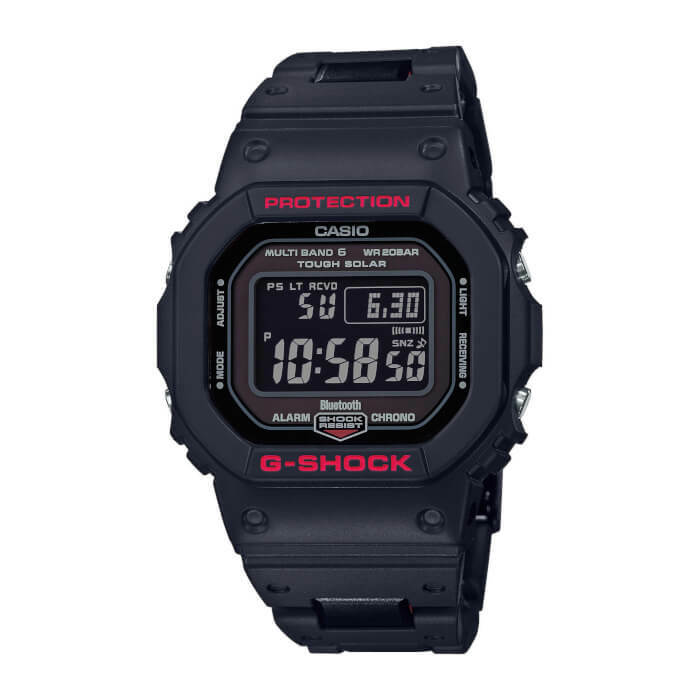 The G-Shock GW-B5600HR-1 is a “Heritage Series” model. Like previous HR editions, the GW-B5600HR-1 pays tribute to the traditional black and red G-Shock colors of the DW-5000C-1A. It’s not a direct replica but instead uses the classic color scheme in a new way. 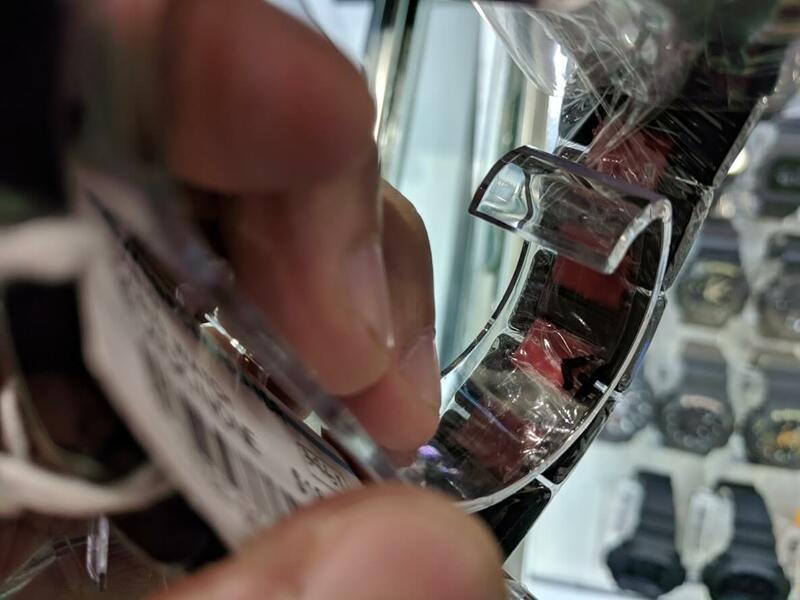 The GW-B5600HR-1 has red bezel lettering and a black composite resin-link band with red inner links on the underside of the band. The back of the case that attaches to the stainless steel case back is also a red color. The watch also has silver buttons like the original G-Shock and a dark reverse LCD display like the other Heritage Series watches. The GW-B5600 base is one of the most advanced “square” models and features Tough Solar power, Multi-Band 6 radio timekeeping, and Bluetooth mobile link. The module’s functions are identical to the full-metal GMW-B5000 series. Update: We spotted the GW-B5600HR-1 for sale in late January 2019 at the Incheon International Airport (Terminal 1) in South Korea. Update 2: The GW-B5600HR-1JF is a February 2019 release in Japan with a list price of ¥26,000 JPY. 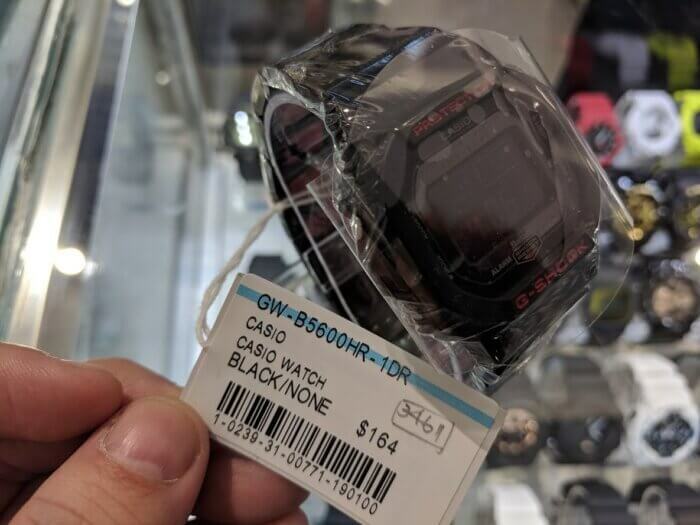 The GW-B5600HR-1 is also a February 2019 release in Asia. I hope this newfangled “connected” crap isn’t the sole future of the origin/square models. I much prefer a layout where I don’t need a frigging smartphone to know my battery charge levels. Is knowing the battery level so important it needs permanent screen space? I guess maybe if you work long hours in a dark place, but I’ve been wearing a GW-3000 for years and never had any real indication of its battery level – when I leave it in the dark overnight, the second hand stops moving to save power, but show it some light and it’s good to go! I’ve noticed the display on my GW-B5600 turns off if left in the dark too, then comes back to life when you move it into even very low light. 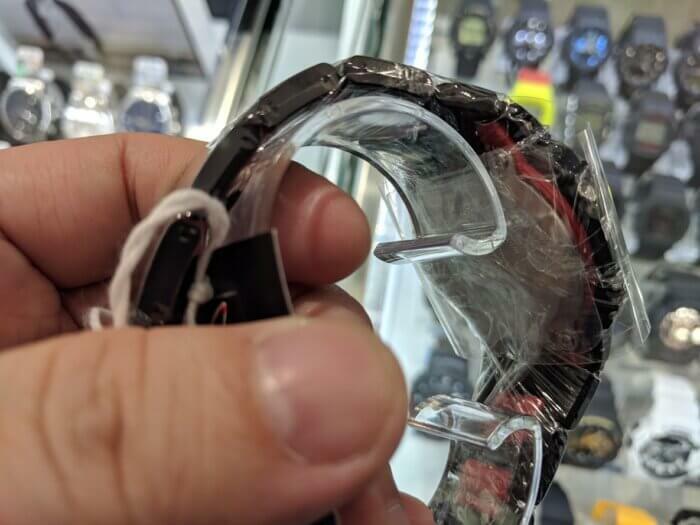 This looks like a slightly more colourful version of my GW-B5600BC-1B and I reckon that’s a good thing – the composite strap is really light and comfortable with a nice finish to it. I’d be tempted if I hadn’t already got the 1B and a regular DW red and black Heritage edition!